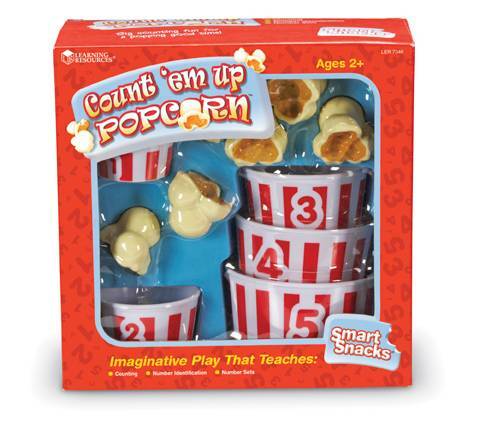 Big corny fun! Practice counting, numbers and stacking. 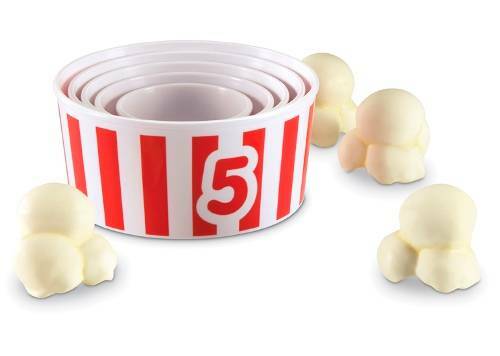 Includes 15 jumbo popcorn pieces to count into 5 different-size bowls (printed with numbers 1–5). Bowls nest to store.